Lisa Cook-Gordon, Council Member and Vice-Chair of the Statewide Independent Living Council, was appointed to the board in 2013 and has been working since to advocate for people living with chronic illness and disabilities. As licensed social worker with a Bachelor’s in Political Science from the University of Michigan-Flint and a Master’s of Science in Administration from Central Michigan University, Cook-Gordon has been a disability advocate “for many years.” In addition to her advocacy work, her role as a mother of three and grandmother of one inspires her the most, she said. Cook-Gordon plans to focus her work with SILC in the upcoming term on advocating for families and youth with disabilities. When she first learned about Centers for Independent Living, she explained, “they were one of the best kept secrets” for families in Michigan. “For a lot of families with young children that are first getting the diagnosis,” she said they don’t know what services are there” at first. She hopes to change that by opening channels of communication between families looking for resources and the Centers offering services. Since she has done so much work in early intervention programs, Cook-Gordon believes that they are key in helping families of people with disabilities. Connecting the dots between vital services and families who need them is a fundamental part of her work for the council. Cook-Gordon also intends to advocate for youths with disabilities, and to help them achieve leadership positions. She said, “we need to provide support for emerging leaders so that they can be advocates” for themselves. A major part of this, she stressed, is making sure that young workers are aware of the Workforce Innovation and Opportunities Act and what it can do for them. 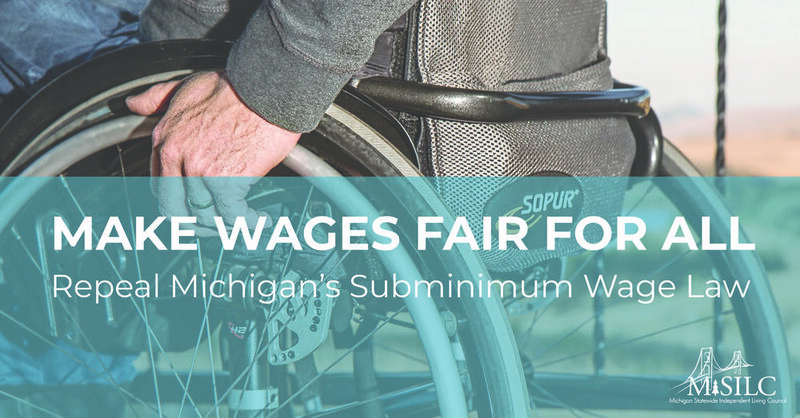 By giving young workers with disabilities the opportunities they deserve, Cook-Gordon believes, state legislators and the people who work with them can develop leadership strategies for the next generation in Michigan.